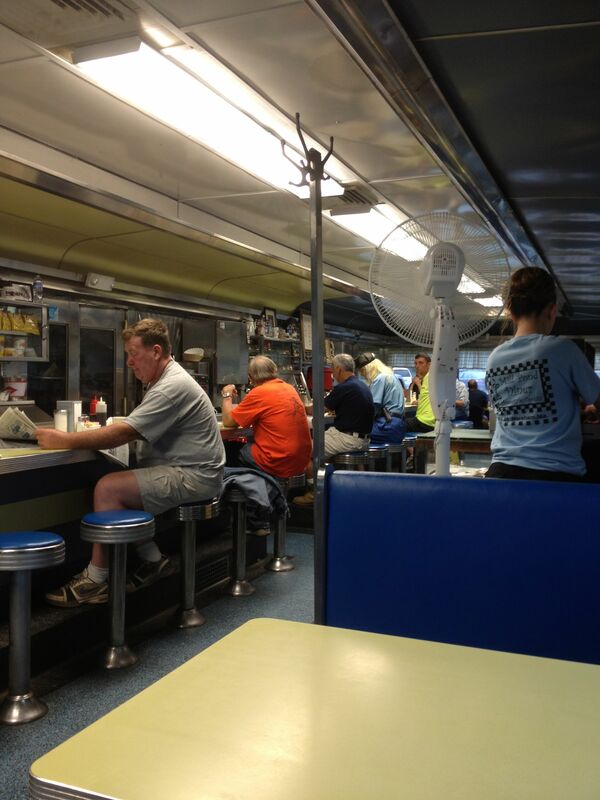 This morning 5:45am found us at the Mill Pond Diner in Wareham, MA. As my cousin commented when he saw my picture on Facebook, “That IS America!” Later we watched the parade in Marion, with the veterans, the fire trucks and the boy and girl scouts. The evening dinner was hot dogs and burgers from the grill. 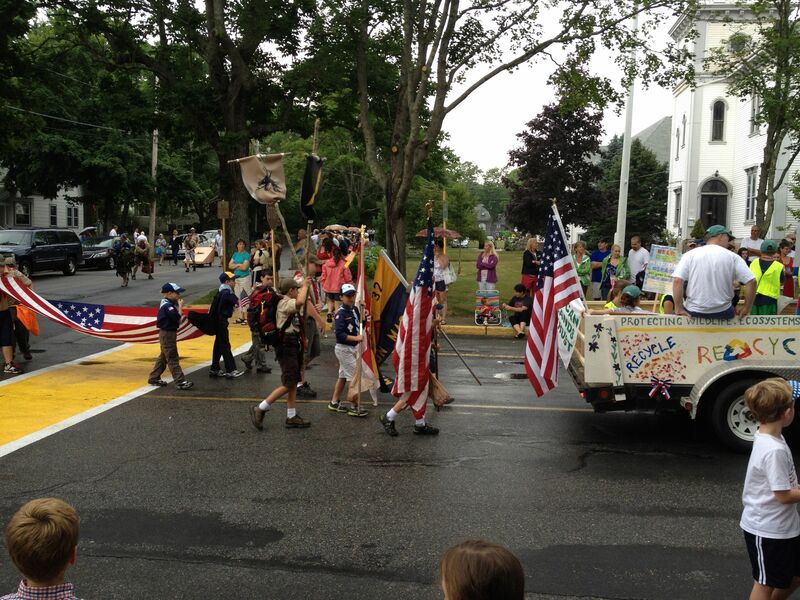 Flags are flying from the many 19th century Cape houses. Our flag – a symbol, I hope, of expanding circles of inclusion. It is not the stereotypical nature of our holiday, however, that has made it especially significant for me. Rather, it is how it has underlined my reflections on the nature of our social contract. The Enlightenment value of natural rights that Jefferson and Franklin referred to when they wrote “We hold these truths to be self-evident, that all men are created equal” is central to the way I think we should organize our common life. Of course every other place name here is a reminder of our historical violation of these rights – Massachusetts, Massasoit, Sippican, Mattapoisett, the Old Indian Trail, etc. The ghosts of another people are everywhere, and I admit with shame that usually I hardly recognize them. Our history of slavery, Jim Crow, and the denial of women’s rights also testify to the flawed nature of our understanding of complete human rights. Nonetheless, we have been slowly “achieving our country,” in the words of Richard Rorty. I am deeply grateful to live in a country where we can interpret our central mission as universally inclusive and compassionate. Interesting. I am spending my 4th watching Salt of this Sea. Not to be missed by you, H and A!!!! !